As India aims to move more and more towards the vision of a cashless economy, it is important to include rural communities into the ambit of a Digital India as well. Given that as much as 67 per cent of India’s population lives in rural India which is dependent on cash transactions, the goal of a cashless economy can never be achieved unless digital infrastructure is made available at the last mile and communities made aware and trained to use the same to carry out financial services. With a population of more than 1.2 billion, the country has only about 24.51 million credit card holders and 661.8 million debit card holders; and not all of them use their cards actively. Even the number of ATMs is restricted to a little more than 200,000 with only 75,000 located in semi-urban and rural areas. Even at its highest capacity, Paytm reaches only 150 million users across India. According to a report by the Internet Society, 50% of Internet-enabled mobile phone users in South Asia don’t even access the Internet on their phones. With this realisation in mind, Digital Empowerment Foundation (DEF), in partnership with Axis Bank, has been striving hard to provide digital financial literacy and services to rural and remote communities of India. A joint initiative launched in 2017, project DigiPrayas was implemented in 12 panchayats across five states to help local communities in the region understand the importance of digital financial services and become equipped to access basic functional digital financial services. Now in its second phase, project DigiSupport follows up on the efforts made under DigiPrayas to convert digital financial literacy and awareness into digital financial services. Under this leg of the project, rural youth have been engaged and trained to become DigiPreraks in remote villages of seven Indian states where banking facilities are limited and need for digital financial literacy is high. 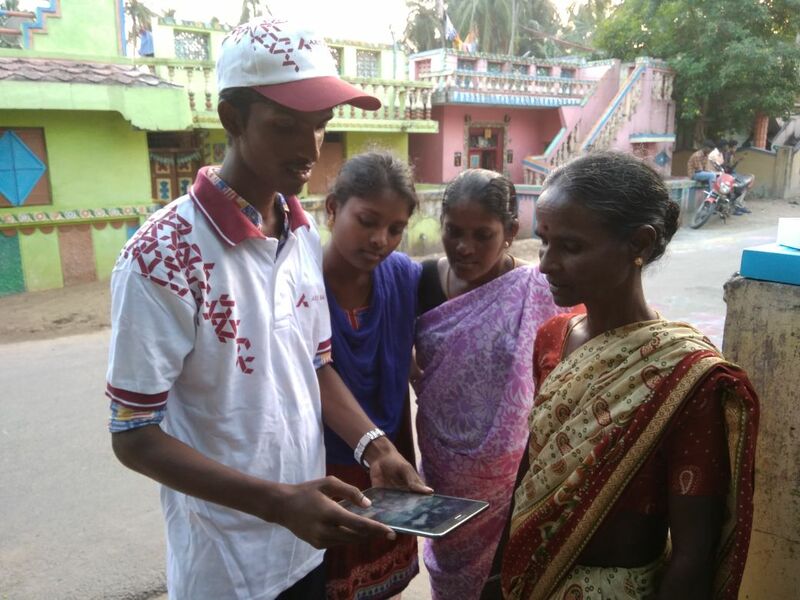 Equipped with digital tools and connectivity, DigiPreraks mobilise communities through group meetings, door-to-door visits, functional digital financial literacy camps and movie screenings. Together, the efforts have improved digital financial awareness and digital financial literacy in 130 villages across 12 states. The DigiPrayas initiative alone directed impacted the lives of 8,000 individuals—and reached out to 40,000 through mobilisation and awareness drives—through digital financial literacy across small towns and villages. Another 2,000 lives have been impacted so far through DigiSupport. These individuals included farmers, shopkeepers, barbers, policemen, priests, SME businessmen, youth and even homemakers. Together, efforts under DigiPrayas and DigiSupport have led to improved awareness about digital financial services in the regions they are serving. The trainings facilitated by rural youth ensure community members are aware of the various banking services that are available to them, are encouraged to open bank accounts, are helped in opening bank accounts, are familiar with the use of debit cards and micro ATMs, and are able to use simple app-based platforms for making payments, transforming money, recharging phones, paying bills or checking the details of their bank accounts. To provide specific tailor-made solutions of the communities, each village under the project was well surveyed to understand the socio-economic conditions and needs of the people. In the last one year, the project has created a positive outcome in terms of generating awareness, increasing usage, and improving engagement with financial banking services through digital platforms. However, it’s not been an easy road for the project; convincing rural communities to adopt digital banking tools, despite its advantages, is a challenge. Communities were extremely apprehensive about online banking and virtual transfer of money; they were hesitant to experiment with a cashless system for the fear of losing their hard-earned money. There were also the challenges of lack of trust between banks and villagers, besides lack of sufficient human resources at the local banks to cater to customers’ queries. However, these challenges were carefully dealt with to ensure the project could reach out to a high number of beneficiaries, gain their trust and help them see value in using digital tools for banking. Through their constant efforts, rural youth and volunteers of the project have been able to build strong linkages with local government bodies who recognise and appreciate the efforts the former are making. You can learn more about the project here.